In a report released in October of last year, the Insurance Institute for Highway Safety found an increase in the number of car accidents after states legalized the use of marijuana. While the use of marijuana isn’t legal in the state of Georgia, the report is an important reminder that impaired driving isn’t limited to people who have been drinking. As public sentiment becomes more lenient toward the use of marijuana and leads to further legalization, we need to recognize its effects on people when they get behind the wheel. 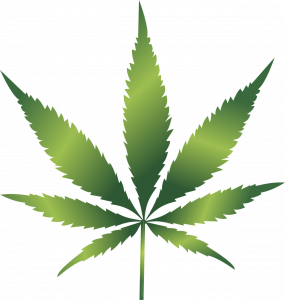 Marijuana not only impairs the user’s judgment and perception, but it also slows reaction time and reduces coordination. Driving while impaired can lead to serious car accidents that result in severe injury and even death. If you’ve been injured in an accident caused by someone who was driving while high, the other driver is most likely facing criminal charges. However, it’s important to understand what those charges mean for you. While it’s satisfying to think that the other driver may go to jail, you should realize that the criminal charges may not result in compensation to you for your injuries. The court can order restitution, but this isn’t guaranteed, and it’s up to the court to determine how much to award. Overwhelmed with cases and limited resources, law enforcement wants to resolve their cases quickly. As a result, the other driver may plead guilty to a lesser charge and pay only a fine, or the criminal charges may be dismissed. This means that the driver may receive no criminal penalties despite the fact that they caused an accident. Pursuing a personal injury claim is the best way to ensure that you are compensated for your injuries. Criminal cases are focused on the government’s interest in pursuing justice and protecting the public. A civil claim for damages is focused entirely on getting compensation for the victim’s injuries – there are no other competing interests in the lawsuit. In addition, a personal injury claim is also held to a lower standard of proof. Criminal charges must be proven “beyond a reasonable doubt.” Personal injury cases must only prove that the evidence in favor of the victim outweighs the evidence in favor of the defendant. As a result, it’s much easier to be successful in your civil case seeking compensation for your injuries that it is for the government to successfully prove their criminal charges. The principal issue in a personal injury lawsuit is whether the other driver was negligent. Even if the government can’t prove that the driver was under the influence, there may be sufficient evidence for a personal injury case. It’s well-established that driving while under the influence of any drug can lead to a car accident. As a result, choosing to get behind the wheel while under the influence of marijuana constitutes negligence, and the driver should therefore be held liable for your injuries. Of course, even if you can’t prove that the other driver was under the influence, you may still be able to prove that his negligence caused the car accident that left you injured. People who get behind the wheel while under the influence and cause injury should be held accountable for their actions. And while we fully support aggressive prosecution of people charged with DUI, we also believe that the injured victims are entitled to compensation. If you’ve been injured in a car accident caused by someone who was drunk or high, the experienced personal injury attorneys at Slappey & Sadd can help you get the compensation you deserve. To schedule a free consultation, call us at 888-474-9616 or contact us online to speak with one of our attorneys about how we can help you.